Browse all Beacon Hill real estate listings below and contact Boston’s luxury Properties if you would like to learn more or schedule a tour. Register to save your favorite listings and receive notification when a new property matches your search criteria. This stunning, fully furnished Beacon Hill penthouse is ready to be your summer sanctuary. With two floors of windows adorned with plantation shutters, the apartment receives an amazing amount of natural light. You'll be blown away by the soaring 20 foot ceiling and solid copper hood of the fireplace in the open concept living space. The unit has been tastefully furnished with items from Restoration Hardware including a beautiful leather sofa and matching arm chairs. The kitchen comes fully equipped with a Sub Zero refrigerator, gas range, wine fridge, and Nespresso coffee/cappuccino maker. There are two bedrooms in the apartment; the lower level has a larger bedroom and the upstairs level has a room with a pullout sofa. There is an exterior balcony off of the upper level and a gorgeous 720 sq/ft professionally landscaped, private roof deck with breathtaking panoramic views of Boston. An automated irrigation system will water the plants for you. Available June, July, and/or August. Floor through 3 bed, 2 full bath penthouse on picturesque Charles St. Ideally located 2 blocks from the Charles/MGH T stop, this fully renovated apartment features soaring 10' ceilings and lovely views of both Charles St and Beacon Hill. Generously sized bedrooms with large double width closets. Central Heat/AC and laundry in building completes the package. Available for lease start dates between April 15 and June 1. Oversized and immaculate one bedroom atop Mt Vernon Street in Beacon Hill. Enjoy private access to this sun-filled garden level duplex with amazing private courtyard, gas cooking, in-unit laundry and one and a half baths. Landlord sends and pays for apartment cleaning one to 2 times per month. Just steps to Boston Common, Louisburg Square and Charles Street. Be one of the privileged few to have access to this newly renovated Beacon hill landmark. This two-bedroom, one bathroom apartment has modern renovations mixed with historic charm featuring a new kitchen with all new appliances, new bathrooms with condo-quality finishes, hardwood floors throughout, and central air conditioning. Features a Large living/dining area off the kitchen with a marble mantle and high ceilings. Located in the heart of this prestigious area close to Charles Street, Mass General Hospital, Newbury Street and just minutes away from Harvard and Davis Square. Spacious and Beautifully Renovated Beacon Hill 2 Bedroom Brownstone Featuring Hardwood Floors Throughout, Ultra Modern Marble Bathroom, Fully Applianced Black Granite/ Stainless Steel Kitchen, Recessed Lighting, Sizable Bedrooms and Good Size Separate Living Room with Fireplace. Rent Includes Heat and Hot Water. Located in a Professionally Managed, Well Maintained Condominium Elevator Building with an Awesome Common Roof Deck with Grill, Laundry and Private Storage. Unbeatable Location in Beacon Hill near Shops, Restaurants and Transportation. Nearby Garage Parking for Rent. Incredible duplex one bedroom with two full baths and private patio!! Private bath and bedroom on lower level. Large living room, kitchen, dining area and private patio on upper level. Rare apartment to find in Beacon Hill. Kitchen features a great breakfast bar, dishwasher and built in microwave. Rent includes heat and hot water. Laundry in unit. Pet friendly but, CATS ONLY PLEASE. Fantastic location near the shops and restaurants on Charles St. Also close to MGH/Charles RedLine T-stop, MGH, Mass Eye & Ear, Wholefoods Market and CVS. Convenient to everything you might need for city living! No undergrads and condo docs specify cats only. Spacious, sunny and renovated first floor 1 bed/1 bath apartment available for rent in prime Beacon Hill location! Apartment offers independent thermostat heating/cooling, video intercom, in-unit full-sized washer & dryer, beautiful oak hardwood floors, sound dampened walls and ceilings, bike storage and full-service management. Unit is Certified Lead Compliant. Bedroom large enough for a king bed. Large kitchen/dining area to compliment all your entertaining needs with gas stove and stainless steel appliances. Unit is only a short walk away from TD Garden, Fanueil Hall Marketplace, MGH, Red and Green Line T-Stops and all Beacon Hill and West End attractions! Sorry, no pets allowed. This lovely totally renovated fully furnished Beacon Hill Charmer awaits. Perfectly located 1 bedroom +office sunny condo with recently renovated bathroom and kitchen with stainless steel appliances, hardwood floors throughout, in unit washer/dryer, on street permit parking and extra storage space. Enjoy comfort of city living in close proximity to trendy shops and restaurants, Whole Foods, MGH hospital, Charles River, the Red Line T stop, Charles Street, Boston Common, Government Center, Financial District and Cambridge. 6-12 months lease required. Won't last! 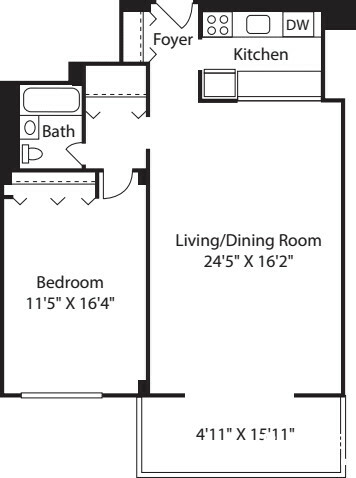 This efficiently laid out 2 bedroom, 1 bath is located in the heart of Beacon Hill. The 510 sqft, top-floor unit comes with hardwood floors, renovated kitchen with granite counters and stainless appliances, renovated bathroom and easy access to the common roof deck. Each sun-drenched bedroom comes with ample closet space and room for a queen sized bed. Fabulous location close to Whole Foods, Beacon Hill Athletic Club and great restaurants. Heat and hot water included. Common laundry in basement. No pets or smoking allowed. First, last, security deposit and full brokers fee required. Email listing agent only for all questions and show requests. No undergrads. Available June 1st. Beautiful, renovated 2 bedroom condominium available for rent located in the heart of historic Beacon Hill on Myrtle Street. Sun filled with lots on windows featuring spacious living room, updated kitchen with dishwasher, stainless steel appliances, updated bathroom with bathtub, and hardwood floors. There is common laundry in the basement and a common roof deck! Available June 1, 2019 for $3200/month including heat and hot water. Email today to setup a tour!